Now before we dive into this, cats gotta understand that most folk have two different definitions of the same word. And from being married over 12 years, nobody understands that better then me. Quality time for me is me and my wife chillin’ in the same room watching Key and Peele but to my wife quality time is defined as us talking to each other or doing things with each other. But us...watching Key and Peele on Netflix isn’t “quality time” for her. I wanted to bring up the whole two different definitions part first cause I’m sure a lot of cats will disagree with what my definition of a “fan” is but on the other hand I don’t think the average dude has ever taken the time to even think about what a “real fan” is. So with all that out the way, let’s look at webster’s definition of what a fan is. A fan is defined as “an enthusiastic devotee (as of sports or a performing art) usually as a spectator.” Now my definition of a fan is simple, someone who rides or dies with their squad, through the thick and thin…period. Now, with webster’s and my definition out there, let’s look at the 3 squads that I’m a fan of. When it comes to me, it’s about ALL Philly everything. So we’re talking the Eagles, the Phillies and the Sixers. Now, do I “root” for other team? Hell yeah. But in my opinion, I don’t see nuthin’ wrong with that. Now, since I’m not a BIG football dude (hoops is my number one love) I really don’t have favorite players all over the league like I do with the NBA, so I don’t really root for other squads. And the one dude who is my favorite player (and has been even when he was knocked) just happens to be the quarterback for the Eagles. Now, maybe when we let Vick go at the end of the year and he goes to another squad, I MAY root for that squad SOLEY cause Vick plays for them. So do ya’ll get that? I’m a fan of the player, so I root for the teams they’re on but I’m not necerailly a “fan” of the squad cause if Vick rolls out, then so do I. 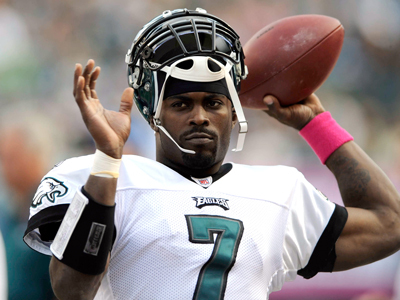 When Vick was in Atlanta, I rooted for the Falcons. (As long as they weren’t playing the Eagles) But when Vick got knocked, I stopped rooting for the Falcons. 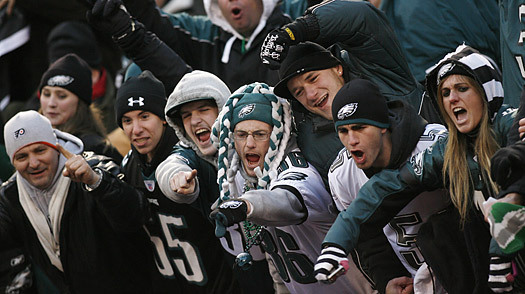 But when the Eagles let go of Vick, I’m STILL gonna be an Eagles fan because that’s my squad. Make sense? See, when it comes to me and professional sports, I’m more a fan of players, not the teams…except my Philly squads. So, I may root for the Steelers when they play cause they’re a PA squad and cause I rock with Mike Tomlin and I may also root for the Ravens when they play cause B’more is my 2nd home (I know how crazy that sounds, but it is what it is) but I can’t say I’m a fan of either teams but I do root for them when they play. Make sense? When it comes to the NBA, I’m the same way. 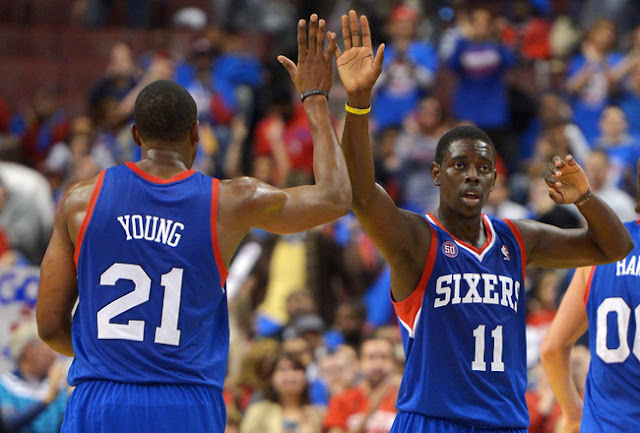 I’m a die hard Sixers fan but I root for other teams that some of my favorite players play for. Since I mess with Kevin Durant, I root for OKC. Since I mess with Derrick Rose, I root for Chicago. Since I mess with Chris Paul, I root for the Clippers. Make sense? Now I know cats who’ll disagree with me on that but the bugged thing is, I don’t understand how they can. I knew a RACK of Bull fans when Jordan was playing for them but when he retired, I didn’t know ONE Bulls fan! Why? Because they were ALL fans of Jordan, not the Bulls. And when he left the United Center, so did all of those Bulls fans. And since that’s a FACT, then 100% of all of the sports heads I know, are just like me. They have one “squad” AND they root for other players which basically means they root for that player’s squad and again what’s wrong with that? I know a RACK of Brooklynites that have been Knick fans since day one, and when I asked them if they’re deading the Knicks to be Nets fan, ALL of them said “hell no!” But if you kick it with them long enough, most of them will admit that even though they won’t be “fans” of the team, that they’re still gonna root for the Nets. If for no other reason, then it’s ALL Brooklyn, everything. Now, when it comes to college hoops, it’s different for me cause I’m more a fan of the coach, then I am the players or the university. For example, I first REALLY got into college hoops during the ’97 March Madness tourney when the Arizona Wildcats who were a #4 seed took out 3 of the #1 seeds to win the chip. So ya’ll know how I do when I first come into the game, I’m always rooting for the underdog so I was running with Arizona. But more importantly Arizona was being called the new “Point Guard U” (with Georgia Tech under Cremins being the old one) and since the point guard is my fave position in the game, I was all in with in Arizona as my squad. Now, I got in with my 2nd college squad (yeah I had two) when the Uconn Huskies beat Duke in the ’99 chip game. (a game they were suppose to lose…here I go with the underdogs again) I started rocking with Uconn cause it was something about their grind during the game and their will to win which was a direct reflection of their Coach Jim Calhoune. And like I said earlier, me and college squads are ALL about the coach. Now just because I said I REALLY got into college hoops in ’97 doesn’t mean I never watched or followed the game. So, growing up I rocked with Temple. Not just because of Philly but because of the GREAT John Chaney who was leading them. 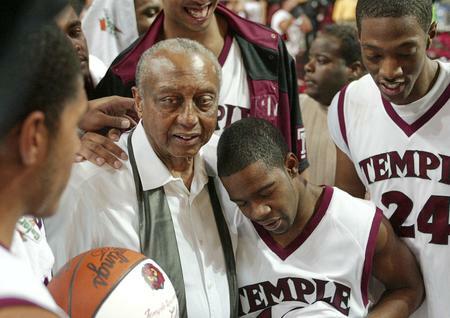 Even after the Aaron McKie, Eddie Jones and Lynn Greer years came to an end and Chaney stopped making the tourney and started sending “goons” into the game, I was still rooting for Temple…that is, til Chaney “retired” in ’06 and it’s been a wrap with Temple ever since. 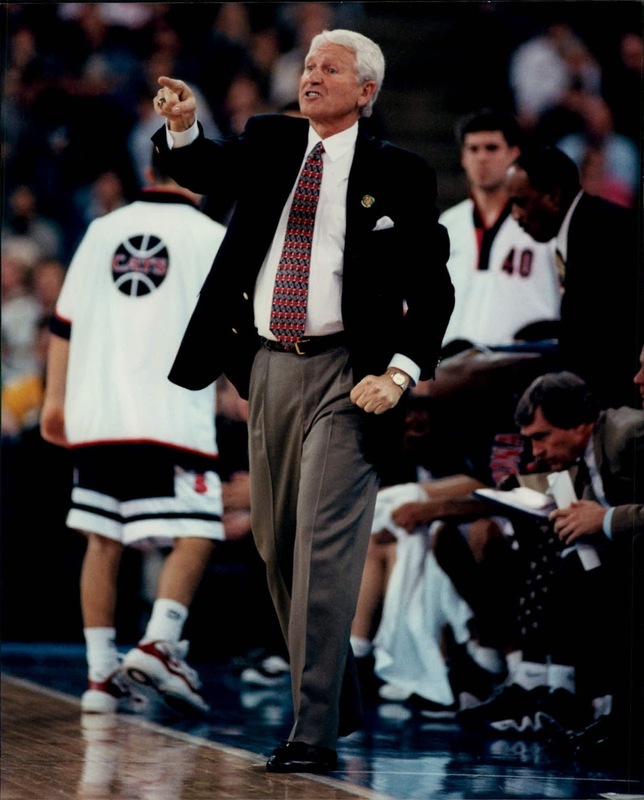 So it shouldn’t come as a surprise that when Lute retired from Arizona, I held on for a minute under Kevin O’Neil but it was obvious that dude wasn’t going for the Lute Olson run and gun mentality which is why I loved the Cats so by the time Sean Miller came to town, I was swayz. And after Calhoune retired this year, I was wondering if I was gonna continue to rock with Uconn. I know Kevin Ollie is alum but I didn’t know if he was gonna keep those NYC and Baltimore pipelines open and keep recruiting the kinda kids Calhoune did. But at the end of the day, after seeing the way those kids performed in their opening game with their win against Michigan State and after hearing how Ollie talked about his players, I decided I was still all in with Uconn. That is, as long as they keep Ollie on the sidelines. And if that changes, I may be going back through this decision making process all over again at the end of the year. So, since we’ve broken down my definition of a fan, now let’s look at this whole jumping on the bandwagon hoopla. I’ve always defined “jumping on the bandwagon” as getting down with somebody or something, ONCE they’ve won something. So, if we’re talking sports, then if you started runnin’ with the Miami Heat AFTER they won the chip last year, then you jumped on the bandwagon. If we’re talking hip hop and you decide Jay Z is your favorite rapper AFTER he just sold out the Barclay Center 7 nights in a row, then you’re jumping on the bandwagon. 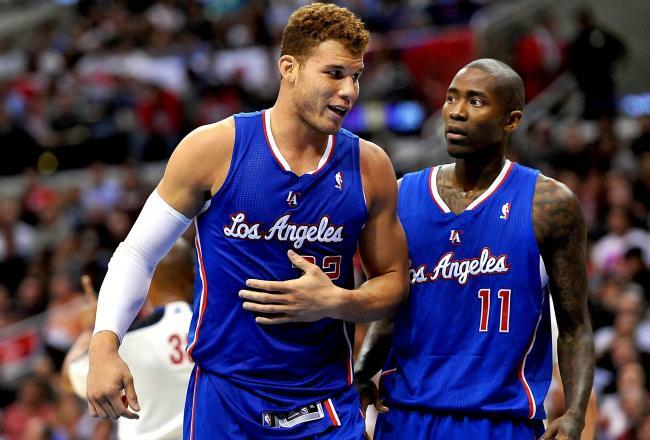 But me saying “I’m messing with this Clipper’s squad” 6 games into the season ain’t me jumping on the bandwagon. These dudes ain’t won no chips and probably won’t win one anytime soon, so basically I’m jumping on the bandwagon of a squad that MIGHT be good in 3-4 years? Naw…that’s like me saying “I’m messing with this Jay Z cat” after hearing Jay’s 2nd album. How could ANYBODY say I was jumping on the Jay Z bandwagon? This dude wasn’t moving units like that. He told ya’ll his self that he was barley going gold. This dude wasn’t the best MC in the game. Hell, he wasn’t even the best MC outta his borough, let alone NYC so there wasn’t even a bandwagon to jump on. And I’m comparing the Clippers to Jay’s 2nd album cause this is only the Clip’s 2nd season of trying to make any noise. And more importantly this is only the 2nd season that Chris Paul is with them and he’s the one I’m rooting for. Remember, I root for player’s I like, not necessarily the team. That is, unless they go to the Lakers. I always used to rock with Lamar Odom since he played at Rhode Island…until he went to the Lakers. I was a HUGE Steve Nash fan…until he went to the Lakers. So the ONLY way for me to stop rocking with you is to put on the purple and gold. So, prayerfully this long siloquiy of chaos has now broken down what a fan is and what jumping on the bandwagon means to me. Now…I’m dying to know, what does it means to ya’ll? Categories - Hoop Dreams, What Part of The Game Is That?